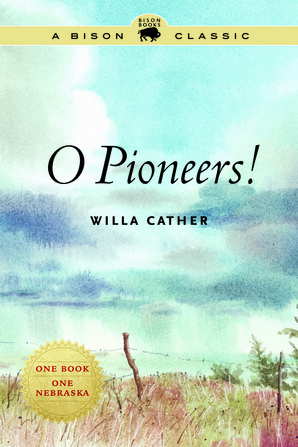 Home » Featured Products » Books » Books by Cather » O Pioneers! Cather’s O Pioneers! is the sentimental and somewhat controversial story of the Bergsons, a family of Swedish pioneers that settles for life on the American prairie. While Alexandra, the family matriarch, is able to turn the family farm into a financial success, her brother Emil must grapple with the solace and tragedy of forbidden love. A novel surprisingly ahead of its time, this protofeminist work touches on a wide range of enduring themes, including love, marriage, temptation, and isolation.